Coney is thrilled to be part of Folkestone at Normal? Festival of the Brain this weekend. 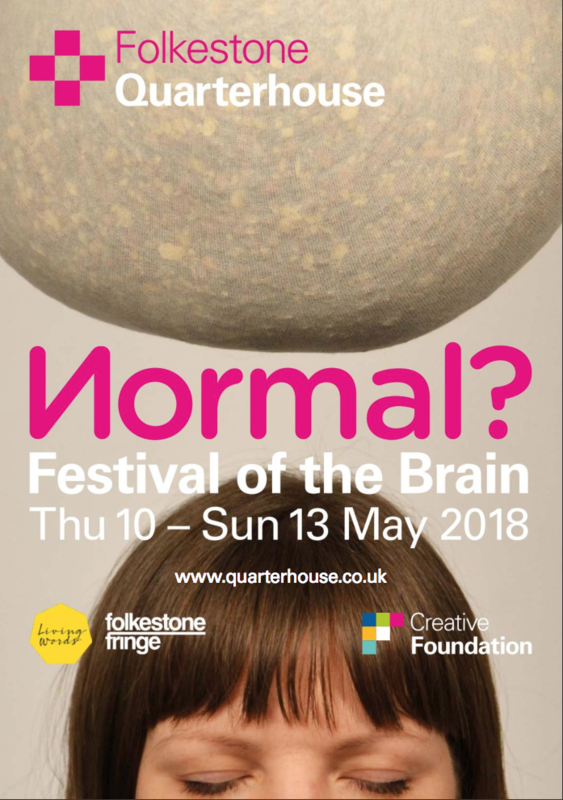 Co-curated by Living Words, Folkestone Quarterhouse and Folkestone Fringe with input from the local community, Normal? Festival brings science and art together over four days to delve into and question the brain. This year, they’re looking at rest and sleep, grief and loss, love and perception. Grief doesn’t have to be connected to losing a person. In these challenging times we can feel loss and grief over many things, like having to move home, or political values not representing your beliefs. Chat in a supportive group and share your story with Tassos Stevens and clinical psychologist Reinhard Guss. More and more councils are promoting social prescribing, or what is commonly called ‘arts on prescription’, but surely the arts can’t replace medicine? Isn’t this just a way to save money? What can the Arts do for us anyway? Take part in a ground-breaking live experiment made especially for the festival by Coney, and hear from advocates of social prescribing across Kent, including: Professor Paul Camic, Research Director, Salmons Centre; Susan Potter, co-author of Non-Clinical Community Interventions; Nick Ewbank, Research Evaluator for arts on prescription; Madin Bee, Take Off; Dr Robert Stewart; and Emma Hanson, commissioner of Live Well Kent.